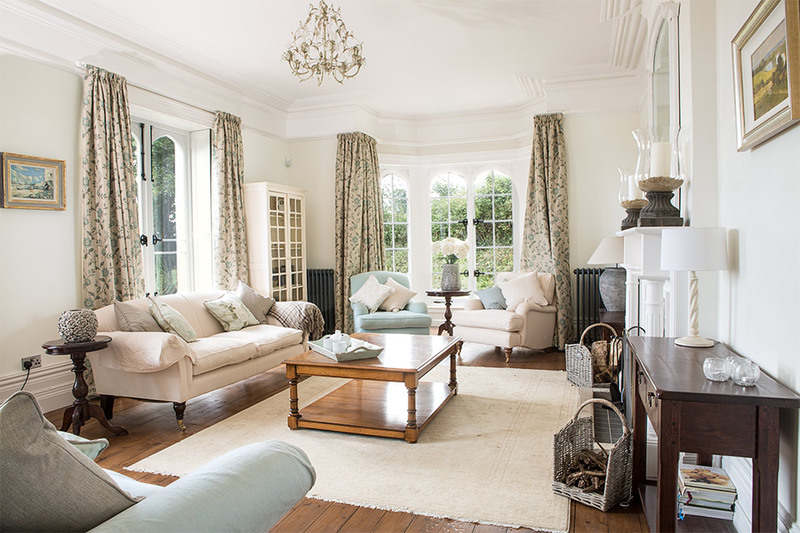 Wessex Manor in Dorset is where sparkling celebrations and glittering gatherings come with a baronial backdrop. 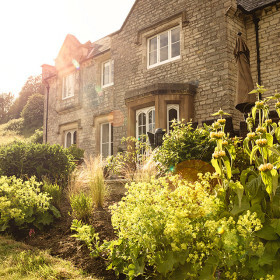 Amid 23 acres of sweeping Dorset greenery, you’ll get everyone together to take tea on the terrace, raid the games room and curl up on squishy sofas. Throw another log on the fire and raise a glass to family and friends. 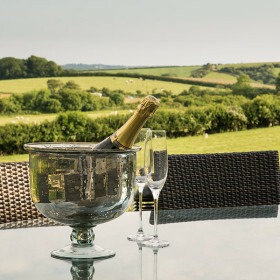 Get everyone down to Dorset for sparkling celebrations and glittering gatherings. 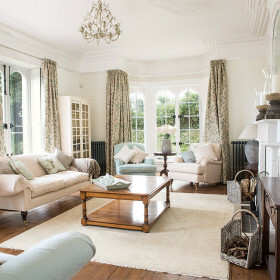 Live to the manor born in a house built for entertaining in the grand Victorian style. 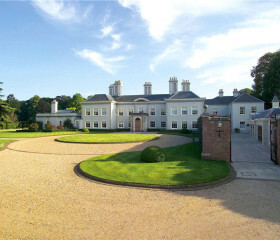 Renovated, reinvigorated and reinvented, Wessex Manor retains its 19th-century grandeur and character, yet comes wired for the modern world. Today, picture rails and parlours sit alongside broadband and barbecues, snooker and table tennis. It’s warmed by gas and solar heating. The books in the library are joined by DVDs. You’ll find far more than a hobby horse in the playroom. And the grass lawn, perfect for a game of football, croquet, or cricket, will keep everyone occupied till bedtime. Looking south to Portland and the sailing mecca of Weymouth, Wessex Manor stands proud and just a little bit posh. 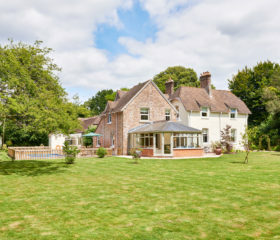 Take drinks on the terrace, splash in the shallows of the River Wey within the grounds, plunder the library, curl up on squishy sofas, and sip a scotch at the snooker table. Get together with those who matter, put another log on the fire, spin some tales, play some games, have a crack at croquet or cricket. Eat well, walk lots, soak up the sun on the terrace, and make some memories in the place that time forgot. 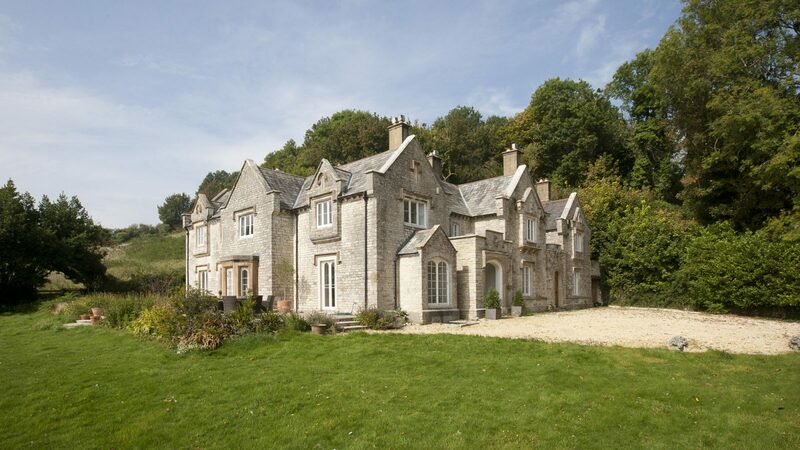 The timber gates and long gravelled drive promise so much, and the Grade II manor house won’t disappoint. But what’s beyond the walls? 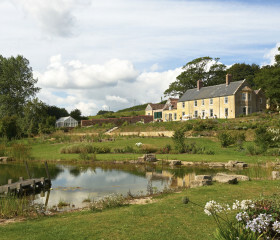 Wessex Manor sits in 23 acres of rolling lawn, orchard and river frontage. 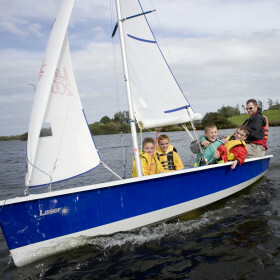 It’s a hide-and-seek heaven, a place to let your kids run free, with your mind free of worry. You can walk the grounds before lunch. 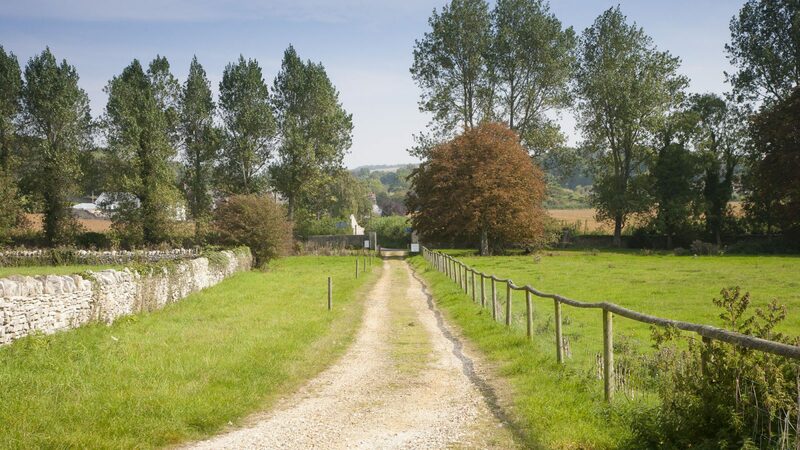 Cross the bridge over the source of the River Wey, splash in its shallows, pass the stables and walled garden. Maybe you’ll drink and dine on terrace, then follow the lawns down to the ha-ha. When you’ve recovered, it’s time to discover the walled garden with its orchard and stone outbuilding, and then the log store, source of fuel for many a fun family evening lit by real fires. Wessex Manor is a monument to the gracious living of glorious times past. 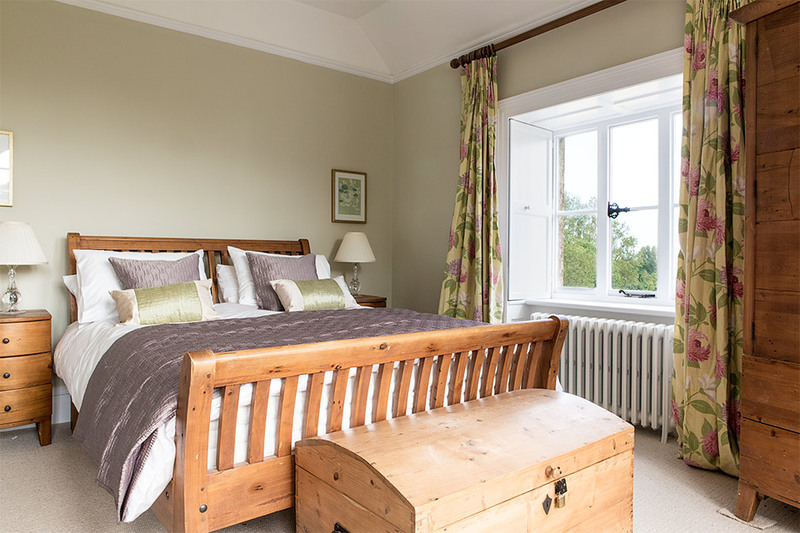 It’s recently refurbished, yet all the Grade II-listed features are here. 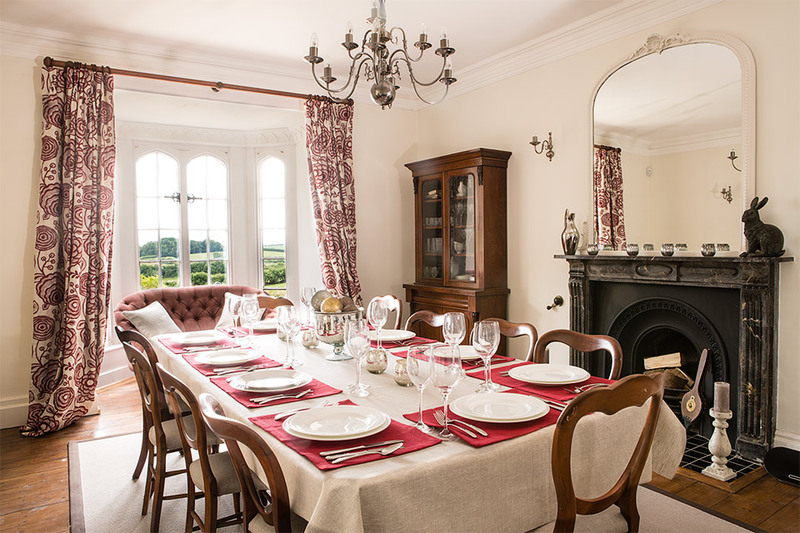 The wood-panelled walls, the butler’s pantry, the picture rails, the chandeliers – all present and correct. Yet the magnificent grandeur is overlaid with modern convenience, so that families old and young can enjoy holidays full of fun and freedom. That’s why wifi floods the building and why the book library comes loaded with DVDs. The flat-screen TV suggests a family film night. Everywhere is open fires. Light the logs on chilly evenings, pour the wine and let the conversation flow. 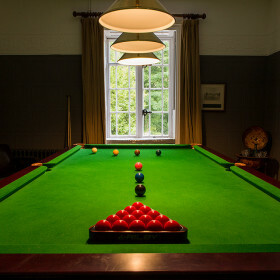 There’s a playroom for the kids and a billiards room for competitive dads. 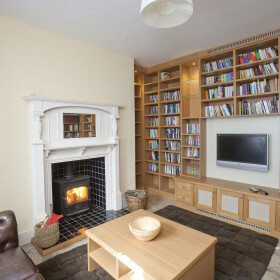 The drawing room looks built for games of charades, the library will lend you books without a fine. Rooms here are never-ending. You’ll live like Lords and Ladies as you discover the butler’s pantry, the boot room, the fuel store, the larder and the scullery. To complete the experience, we can even provide a chef and butler. The Lacanche gas range might just be the largest you’ve ever seen. 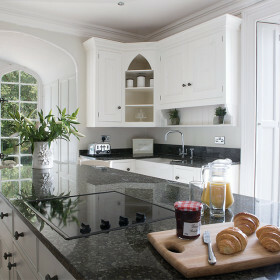 It sits in a fully fitted island kitchen. Chop and chat, prepare the veg as you sip your wine. 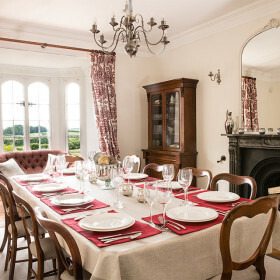 At Wessex Manor, cooking the meals is as convivial as the company you’ll enjoy as you eat them. 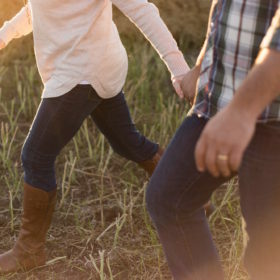 Of course, you might prefer a fully catered holiday, or just a special-occasion meal. Call up our chef, let him pull a culinary cracker, then sit back while we wade into the washing-up. The setting is scrumptious. Beneath the chandelier in the dining room, in front of the freshly lit crackling logs, you’ll want to linger a while. As you drink and dine, you’ll review the day with tales and gales of laughter, then make plans for more tomorrow. 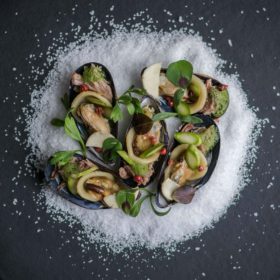 Down the road in Dorchester, pick from over 100 restaurants, from Thai to Chinese to Vietnamese and Lebanese. 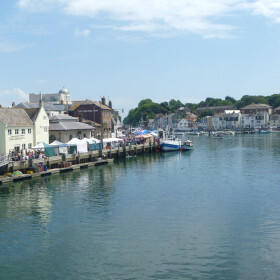 It’s a similar tale in Weymouth: from moules marinieres at Manbo’s to gluten-free fish and chips at The Old Harbour. 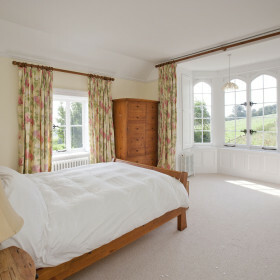 Sleeping 18-24 in supreme comfort, Wessex Manor comes with bedrooms that feel like home – only a whole lot grander. Things are quiet here deep in the Dorset countryside. Open the windows a crack and you’ll drift away to the gentle breeze in the trees and the hoot of an owl in the copse. Head up the main staircase from the entrance hall or by the rear staircase from the boot room, for the bedrooms. Each takes two comfortably. 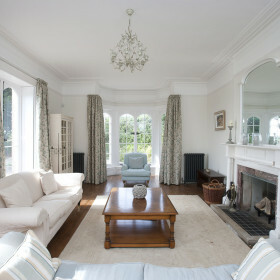 With two double sofa beds in the playroom, Wessex Manor can accommodate up to 24 guests. Master suite The Lulworth is bright, yellow and sunny. 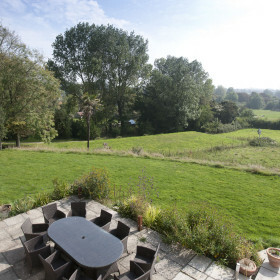 It comes with western views of the meadow and southern views of the sea. Ponder in the dressing room and linger in the bath and shower room. 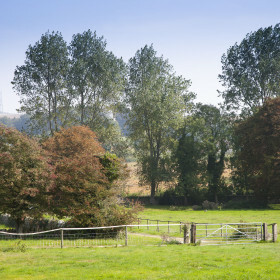 There are more spectacular views in the twin-bedded Tyndale and Amandolier rooms across Wessex Manor’s fields to Portland beyond. 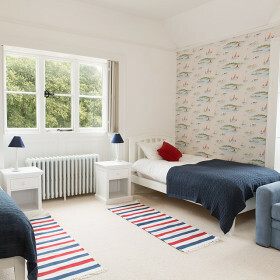 The double-bedded Montague and Haverstock rooms share an en-suite bath and shower room. 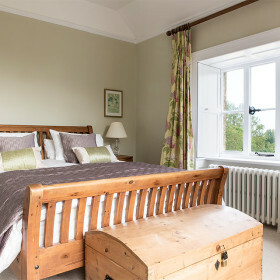 In the North Wing, the Lucerne room is a single with pull-out bed frame, while the twin-bed Pinchbeck is loved by children. 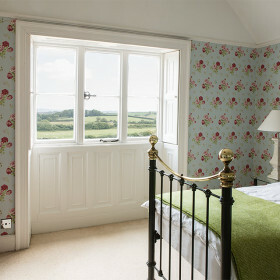 Finally, at the end of the house is the Richmond room, a queen-bed with delightful bath and shower room. 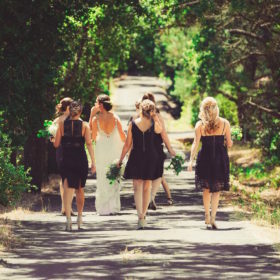 Special Occasions – Just married? 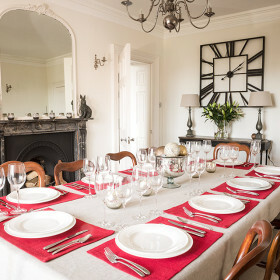 Need the perfect place to get together with the extended family? Or maybe you want a big birthday bash to remember? 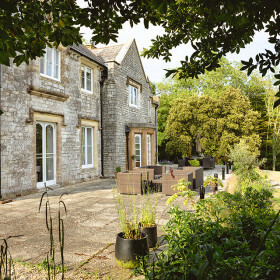 Wessex Manor can host up to 24 as the ideal intimate midweek setting for any special occasion. Make it yours for the day or longer. 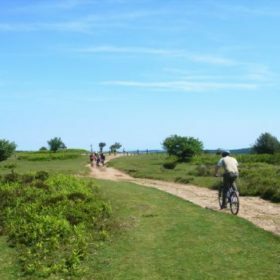 Active Breaks – With 23 acres of gardens and grounds to play with – not to mention beautiful Dorset on the doorstep – Wessex Manor can become your home away from home, where you’ll find top Dorset sites just crying out to be cycled and walked, no matter your experience level. Grab a pack and go explore! Murder Mysteries & Cooking Classes – Let’s make things mysterious! Or tasty! Why not do both? 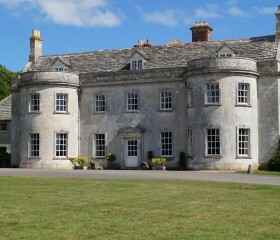 Wessex Manor can play host to many seasons and themes. Its centuries-old walls have heard many a whisper, kept many a secret close. But for how long? Hold the ultimate murder mystery night right here in style. 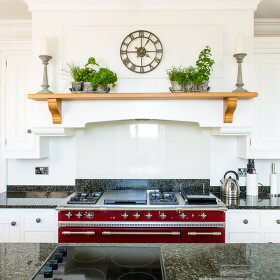 When you start to get hungry, there’s no better setting for a masterclass in the art of cooking seafood with the best local produce than the spacious kitchen complete with range cooker, large island and polished granite countertops. 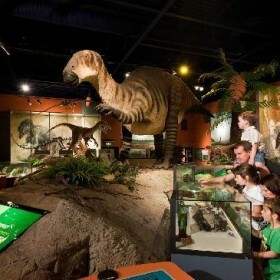 Welcome to a south-coast world of soft sands, treasure trails, skateparks and dinosaur museums. 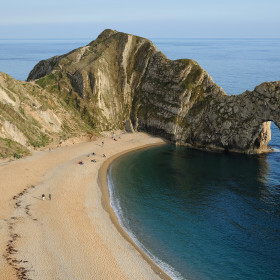 Grown-ups can walk the stunning South Coast Path, ride the RIBs at Lulworth, sail, surf or swim, and head to Weymouth for pubs, clubs and wine bars where you’ll toast the moonlit views across the bay.